Web Submission of Scores and Logs: Click here for the SCR score entry website. Scores and logs for any School Club Roundup may be entered from the time the contest begins through the log submission deadline published below. A logs-received page is also maintained and provisional scores will be published immediately following the log submission deadline. Thanks to WA7BNM for creating this new score reporting and publishing web site. Multipliers: Note that a station can only count for a single multiplier as described in Rule 5 below. i.e. a contact may count for a "School" or a "Club" but not both. A "school club" counts as a "school" only. Contacts submitted claiming both multipliers will be scored according to the log submitted by the station contacted. Post Photos and Stories: One of the best parts of School Club Roundup is showing off your team members and station. Other participants will enjoy hearing about how you did and reading the story of your contest. You can upload photos and text via the ARRL Soapbox web page. Stay updated on SCR. Send an email to: SCR-L-subscribe@yahoogroups.com. Because of rules changes, logging software updates are needed. Be sure your software is up to date! Contacts on digital modes such as RTTY and PSK31 now count separately from CW. Modes must be abbreviated in the Cabrillo-formatted log file as PH, CW, or RY. The number of contacts allowed per station has been changed to once per band per mode. One will now be able to make up to three contacts with a station on each band using CW, voice, and digital modes. Multipliers will still only count once. A minor change in the minimum break time may give some school operations some additional operating time. The minimum break time is reduced from 30 minutes to 10 minutes. This may be helpful in schools where operation is interrupted by the changing of classes. Each year, the full results writeup for the Fall / Spring contests will be available in the October issue of QST. Click here for the online results of all SCR events beginning with the October 2013 SCR. Click on a call sign in the results to see more information about the entry. Certificates have been emailed as PDF files to all participants who provided an email address. If you did not receive a certificate or wish to receive a paper certificate, contact scr@limarc.org. There are two School Club Roundups during each school year in October and February. Each 5-day event runs Monday through Friday from 1300 UTC Monday through 2359 UTC Friday. A station may operate no more than 6 hours in a 24-hour period, and a maximum of 24 hours of the 107 hour event. Fall Term: The third full school week of October. Winter/Spring Term: The second full school week of February. Entries must be postmarked no later than 15 days after the end of the operating period. Log contents used to determine final score and awards will be available to the public. All entries will be issued an Award Certificate in PDF format. Non-school clubs or multi-op groups and individuals are also eligible for a certificate. DX will be listed separately at the end of U. S. A. entries in each category. You may also print your own Certificate of Participation. Download the certificate PDF file and fill in your school/club information. Or if you prefer, send an address label and four (4) units of return postage. SCR-LOG Windows and Macintosh versions were revised for 2015. This program will generate the report information in several formats. · LogIt! – Is no longer supported. It will not generate a compatible report. · GenLog - Use version 7.48 ??? or later. · N3FJP ver 1.2 or later. Other popular logging programs may also support the SCR. If you plan on using computer logging, please see the Cabrillo Logging standard template available below. If you plan on submitting a Cabrillo-formated electronic log, here is the specification sheet. 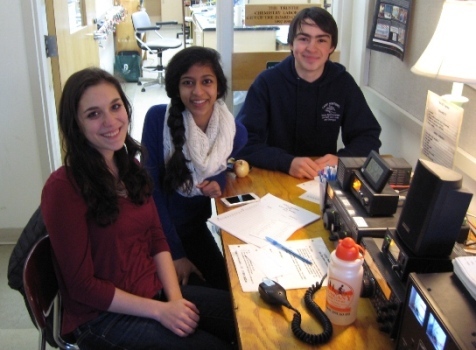 All SCR results beginning with October 2013 can be found online at the ARRL School Club Roundup score web page. QST articles about School Club Roundup results can be found online in the ARRL Contest Results Articles web page. Teachers share their advice on how to prepare and organize a successful SCR activity for students. October 2010 School Club Roundup (SCR). LBJ High School Radio Club ranked #1 in the high school category in both 2006 and October 2010. 1. Exchange QSO info as below with any class of stations, especially with school stations. Fall term - third full school week of October beginning at 1300 Monday UTC and ending at 2359 UTC Friday. Winter/Spring term - Monday through Friday of the second full school week of February beginning at 1300 UTC and ending at 2359 UTC. A station may operate no more than 6 hours out of 24 and may not count more than a total of 24 hours of the 107 hour event. Clearly marked breaks of at least 10 minutes may be taken and are not counted towards total operating time. If multiple transmitters are used, such as for demonstration purposes, care must be taken to include only the results from one at a time. Multiplier: [Number of U.S. States plus Canadian Provinces/Territories plus DX countries/entities] plus 2× [Number of Clubs contacted] plus 5× [Number of Schools contacted]. Alaska (KL7) and Hawaii (KH6) count as U.S. states. US possessions and territories other than Hawaii and Alaska count as DX countries/entities. This includes Puerto Rico (KP4) and the U.S. Virgin Islands (KP2). Final score: Multiply QSO points by multiplier. Please use our summary form to avoid errors, especially if this is your first time in the SCR (see 6 below). Suggested frequencies: All amateur bands except 60, 30, 17 and 12 meters are permitted. Repeaters are not to be used. Only recognized simplex frequencies may be used. U. S. A. examples include 144.90-145.00; 146.49, .55, 58; and 147.42, .45, .48, .51, .54 and .57 MHz. The national calling frequency, 146.52 MHz, may not be used. Similar restrictions apply in other countries. The online Score Submission page is recommended for all entrants. Paper logs will still be accepted. · SCR-LOG or from the files section of Email Reflector. Use version 6.1 or later. Note: SCR-LOG Windows and Macintosh versions were revised for 2015. This program will generate the report information in several formats. 7. Reporting: Stations should clearly list the callsign used, entry class, type of school, return address (where you want inquiries and certificate sent), phone number, e-mail address, number of operators/loggers (including 3rd party), and number of hours. Logs must include exchange information, bands, and signature of all operators (and authorized club official or trustee and address, phone number and e-mail). Dupe check sheets are required for paper entries over 100 QSOs. Computer generated entries in SCR Cabrillo format are appreciated. SCR-LOG or GenLog or N3FJP School Contest Log are suggested. Each of their latest versions can produce a Cabrillo report file. Please include a summary sheet and instructions including file names and formats. Entries must be submitted or postmarked not later than 15 days after the end of the operating period. The School Club Roundup entry categories are: Elementary, Middle/Intermediate/Junior High School, Senior High School, College/University. Non-school clubs or multi-op groups and individuals are also eligible for a certificate. You may print your own Certificate of Participation. Download the certificate PDF file and fill in your school/club information. Or if you prefer, send an address label and four (4) units of return postage. Click here to tell us your School Club Roundup story!